Whenever Staines regatta comes around, it’s always a bit of a poignant time and this Saturday the event is being staged as a tribute to the memory of the crew of the Ashes eight, three of whom – David Firman, Alan Wickens and Alan Choules – died in a tragic accident at Penton Hook in April 1971. To mark the occasion, Alan Choules’ widow, Carol, has donated a new Ashes Memorial Cup to the regatta. It’s a mark of the comradeship of Staines Boat Club that an accident that happened 40 years ago, still figures so strongly in the club’s collective memory. There will be a full day of racing, with live race commentary, from 9am until around 6pm over a 500m course from Wheatsheaf Lane to Silvery Sands. Airways Rowing Club and Scandinavian Airways from Denmark. Staines BC crews representing the mayors of Spelthorne and Runnymede will also battle it out. Entry for spectators is free and there will be a licensed bar at Silvery Sands, with a seating area to view the finish line with a relaxing beer or Pimms, plus a BBQ, fresh sandwiches and lots of other tasty goodies. It’s a great day – pop along and enjoy a classically English day beside the river. SOMEWHAT belatedly, I’d like to express my thanks to the Environment Agency for introducing 24-hour powered operation of the locks in our area. This experiment, which is running throughout the summer months, means that even when the lock is unmanned, power will be left on to work the gates and sluices instead of boaters having to using the old hand-winding mechanism to pass through the locks late in the evening or early in the morning. I speak from personal experience when I say that is a real boon for boat owners. I remember when my brother and I brought our Seamaster back to Shepperton from the Medway that hand-winding the gates and sluices at 10 o’clock at night after a 14-hour slog up the tideway was a real trial. I hope the experiment proves a success (based on boat-owners using the locks responsibly) and that the Agency decides to continue the practice on a permanent basis. IN my humble (and very biased) opinion, if you’ve never experienced the thrill of sailing a dinghy in a good breeze then you’ve missed out on one of life’s greatest treats. 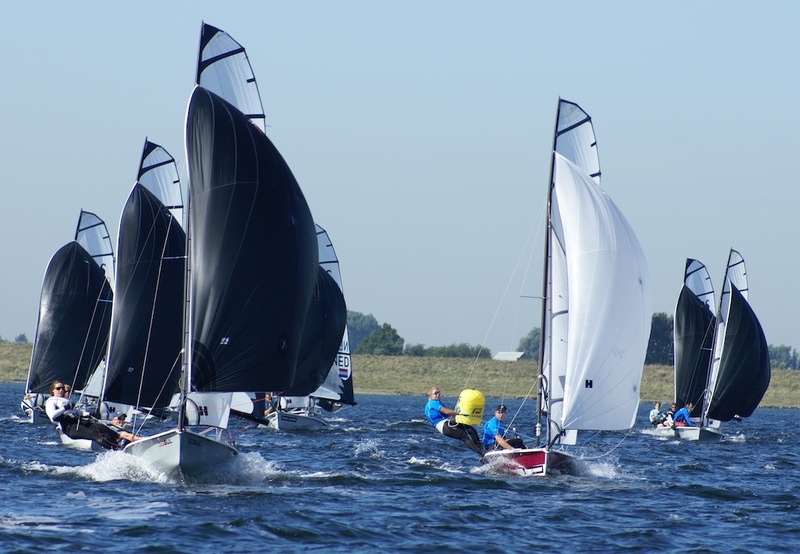 And there’s an opportunity to rectify that at Queen Mary Sailing Club on the Queen Mary reservoir in Ashford this Saturday and Sunday when the club will be offering free 90-minute sailing sessions for people who would like to try sailing for the first time. This weekend is part of a nationwide programme to encourage people to try an Olympic sport and marks the ‘one year to go’ point in the run up to London 2012. If you fancy taking to the water with some expert tuition and all the equipment you need supplied, call QMSC on 01784 248 881 to book a place. The first session starts at 9.30am each day with the final session starting at 3.30pm. Tell them you heard about it through Riverwatch in the Herald and News.